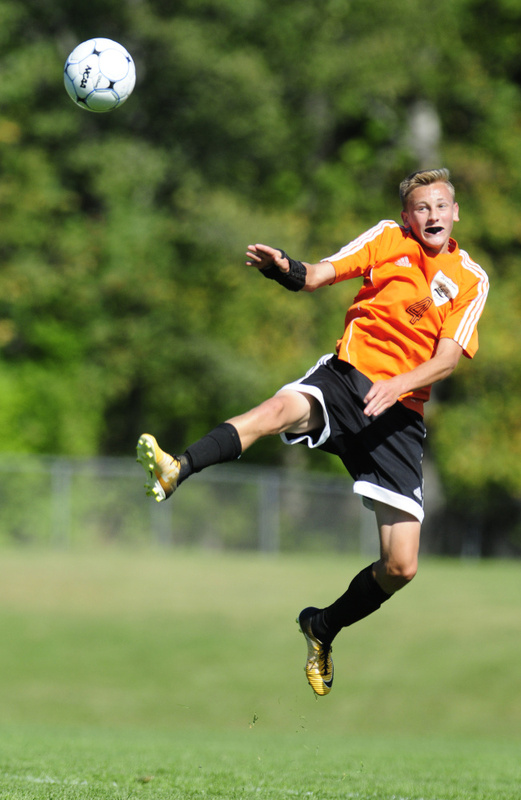 Early goals, Isaac Lambrecht hat trick carry Black Raiders to KVAC victory. SOUTH CHINA — The Winslow boys soccer team got an early start on Saturday morning, in more ways than one. 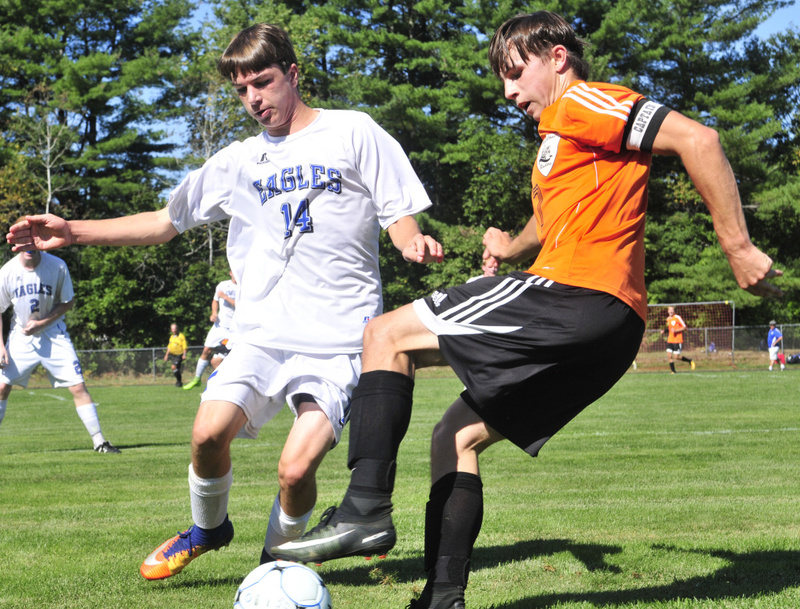 The Black Raiders scored twice in the first four minutes, found a hat-trick hero in junior Isaac Lambrecht and posted their second straight shutout in a 4-0 blanking of Erskine Academy in a Kennebec Valley Athletic Conference Class B game with a 10 a.m. kick-off. Illustrative of its slow pace early, Erskine was whistled for five fouls in the first four minutes — defending players often a step behind the building Winslow attack. When senior striker Matt Phillips was hauled down in the box in the third minute, Lambrecht stepped up and polished off the penalty kick for a 1-0 Winslow lead. A minute later, Wildes found a seam on a quick restart just outside the box and ripped a bullet into the net for another score. Four minutes. Two shots. Two Black Raider goals. Lambrecht combined with senior Kaleb Burbank to break down the Erskine midfield and make it a three-goal game, adding his second goal of the morning in the 52nd minute. Lambrecht’s first career hat trick was completed in the 74th minute, when Wildes drilled a low corner kick along the touchline that Lambrecht — his lanky frame parked at the near post — touched past Eagle goalkeeper David McGraw (three saves). From there, the Black Raiders — who thumped Lawrence 5-0 on Thursday — saw the shutout through to the end. 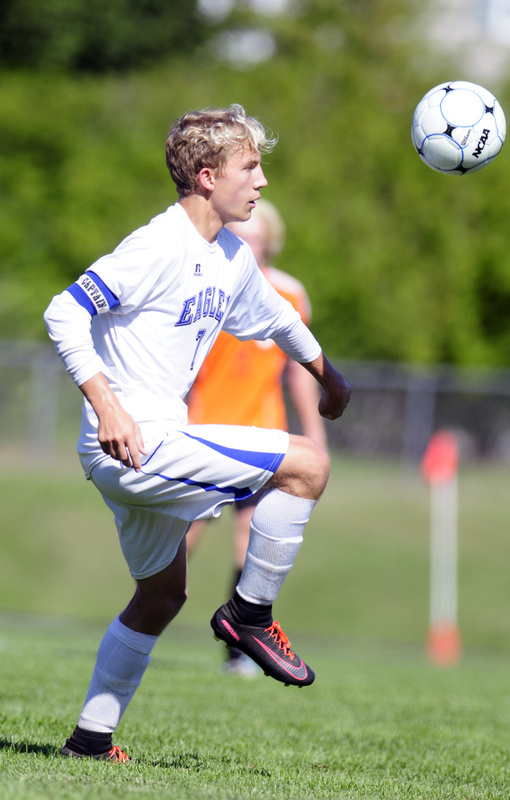 Erskine failed to generate a shot from within 19 yards of goal. It was tough sledding through the midfield for both sides, with the game seeing more fouls (39) than shots attempted (23). Only 10 shots in total found their way on frame. After starting the season with a seven-game unbeaten streak, Erskine has lost two straight, both by shutout.